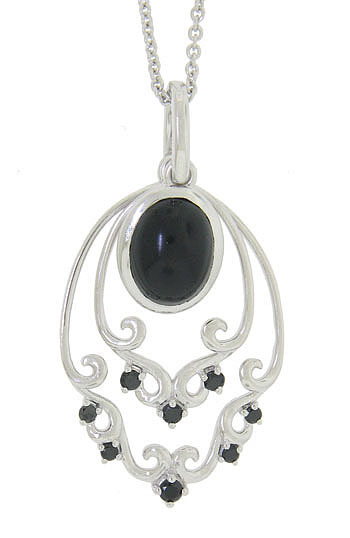 An oval cabochon onyx is bezel set in this sterling silver antique style pendant necklace. Layers of curling vines surround the smoothly polished stone, while additional round cut faceted onyx adorn the silver vines. The elegant pendant measures 1 1/2" long, 3/4" wide. The chain is 18" in length.